Pretty much from the moment HBO's "Big Little Lies" wrapped up last month, revealing who lived, who died and the proper way to throw an amazing picnic on a Monterey beach (pack lots of wine! ), viewers have been clamoring for an encore. Star and producer Reese Witherspoon urged fans to "Facebook ["Big Little Lies" novelist] Liane Moriarty and tell her how much you want to see 'Big Little Lies 2.'" So, naturally, when Adam Scott, who played Witherspoon's very chill husband, Ed, stopped by The Times recently to talk about the show, we had to ask: Are you ready for another go-around? He expressed enthusiasm but also some ambivalence. "A lot was left unsaid," Scott notes. "But there's also something great about that being the end as well. It's a terrific ending.… I think it's cool to end on such an ambiguous note." Some of that ambiguity has to do with the tension between Ed and Witherspoon's Madeline. She's had an affair, which Ed kind of knows about. 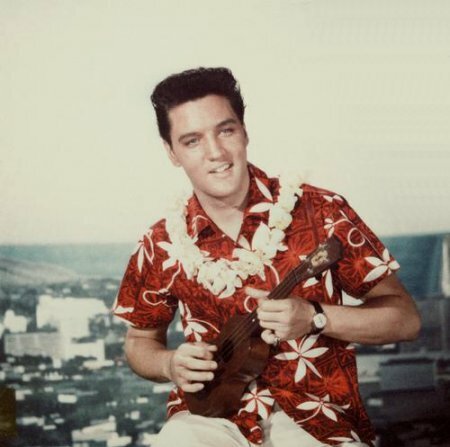 And yet, there he is on stage, at the big Trivia Night gala, making like "Blue Hawaii" Elvis, singing "The Wonder of You." "He chose that song for specific reason … to speak directly to his wife," Scott says. "Things sort of come to a head there at the party and I think Ed's suspicions that he didn't want to fully explore for fear of what he might learn, the tipping point finally came when he walked into the party and he put it all together. And I think in the process of singing that song, he found his love for his wife again." That's the power of the King for you. Elsewhere in the interview, Scott spoke about why that wasn't actually him singing "The Wonder of You," though he does enjoy karaoke nights at home with the family. ("Within the confines of my house, fine, anywhere else it would be tragic," he explains.) Also: If he could pull off singing one U2 song, it would be this one. Play us out, Bono. Adam Scott says that while there was no talk during the making of HBO's "Big Little Lies" that it would extend beyond its planned seven-episode arc, another season may not be out of the question.